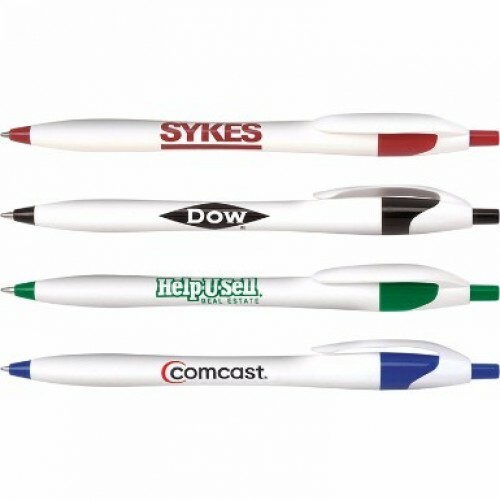 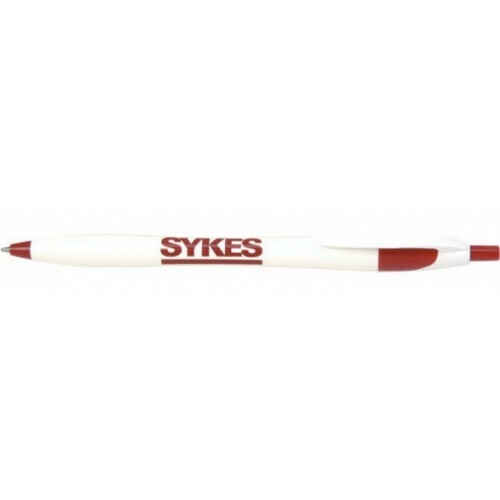 Using this classic promotional ballpoint is a great step in the write direction! 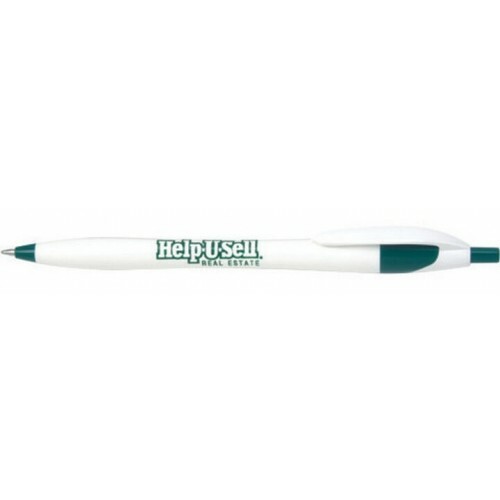 This click-action pen features a uniquely shaped body that fits comfortably in a customer’s hand. 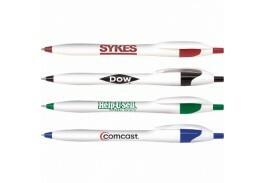 The great colored accents highlight the white barrel and your imprinted logo, name, or custom design. 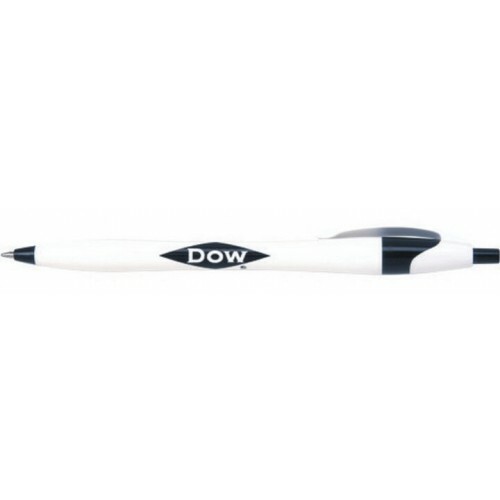 It’s also equipped with a guaranteed ultra-smooth writing cartridge. 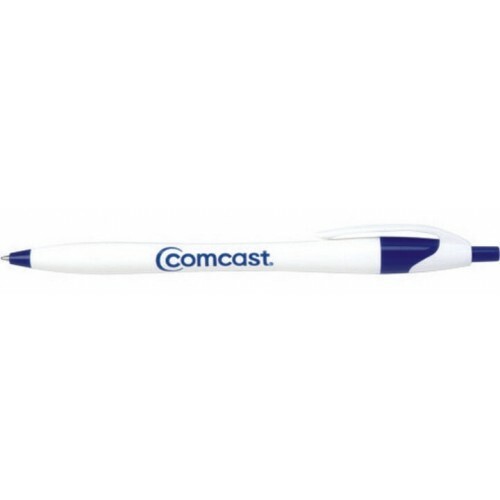 A one-color/one-location imprint is included in the price.